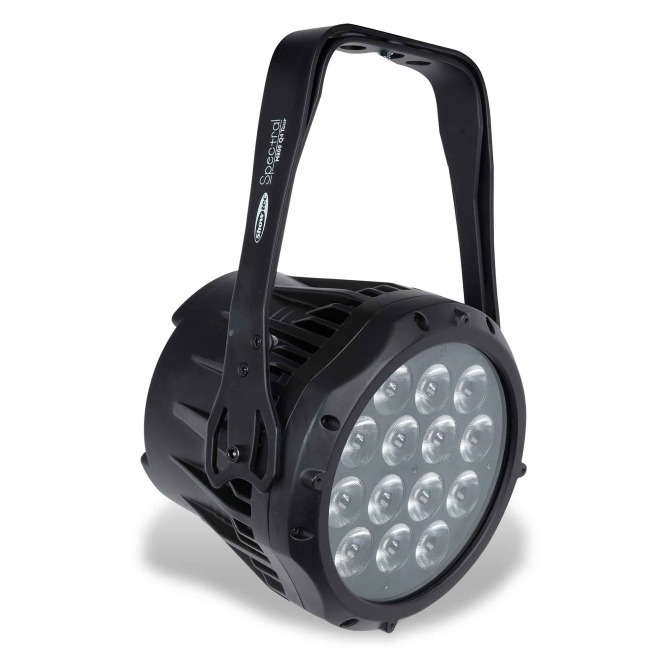 After 8 years and more than 30,000 sold spots, the Showtec Spectral M800 was upgraded to a true RGBW spot. This not only helps to enrich the colour spectrum, but also increases the overall light output by 30%. This IP65 version is equipped with Seetronic IP connectors and IP65 connectors as standard to ensure perfect performance both indoors and outdoors. A virtual color wheel with the most popular colors is built in and can also be used by manual control or in stand-alone operation.